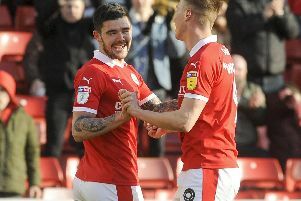 The Reds welcome the Black Cats to Oakwell on Tuesday for a game that is likely to have a massive bearing on the automatic promotion race. Barnsley, currently in second, are four points ahead of Jack Ross' side, who have a game in hand. Going seven points clear would be a huge statement to make going into the final straight of the season and a fan in America has been in touch to express his excitement at the game. “We are under no illusions, it's a massive game,” assistant head coach Dale Tonge said. “We have had fan mail from America, somebody from Wisconsin, sending things saying they are looking forward to the game, anticipating a good game, so it just shows it's a big game. “We are going to look forward to it as I am sure Sunderland are. “It's a big game in terms of positioning so we are going to take it head on like we do every game and enjoy it. Despite the prospect of being able to go seven points clear of their north east visitors, Tonge does not view the game as being a promotion decider. “It is a big game, we are well aware of that,” he added. “We can increase the gap and they can close the gap but I don't think this game is the be all and end all for the promotion race. The fact that Barnsley are ahead of the Black Cats this season shows how well they have done, considering Sunderland's spending this season. They became the first third-tier club to spend £4million on a player, and Tonge accepts they have players that are too good for this division. He added: “They are a massive club, fantastic support base, most people have watched the documentary, you can see how big the club is, the support they get, we have watched a lot of games there. The support they get is fantastic, they will bring a big crowd so that will add to the atmosphere and add to the game. “It has got a really good feeling about it. We are ready for this game, there are certain things we want to work on. 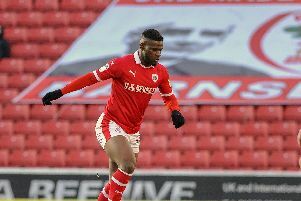 The Reds do not have any fresh selection concerns, but are still without Kieffer Moore, Cameron McGeehan and Jacob Brown.